At its October meeting, the West Hills Neighborhood Council voted to support a motion before the City Council to create a Safe Parking Program to move RVs and other oversize vehicles occupied by homeless people out of residential areas. Once a new ordinance is passed, Los Angeles will begin identifying areas in each council district where homeless individuals and families can park safely and be connected to supportive services to help them get back on their feet. Then the LAPD and the city attorney can begin enforcing parking regulations against those who continue to live in vehicles on city streets. The Safe Parking Pilot Program, based on a plan used successfully by Santa Barbara in recent years, would replace Municipal Code Section 85.02, which the 9th Circuit Court of Appeals ruled unconstitutional in 2014. 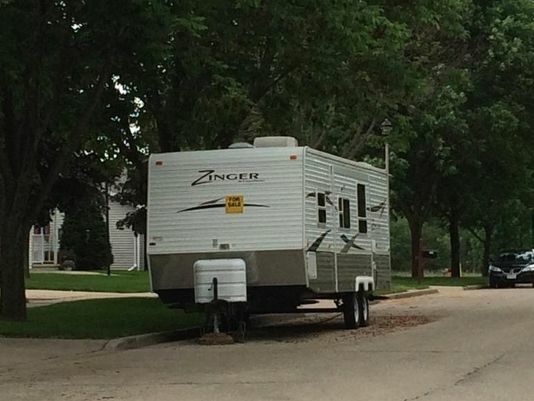 LAMC 85.02 made it illegal to live in RVs and other oversized vehicles on city streets. While the code protected neighborhoods, the court ruled it criminalized homelessness and raised the possibility of arbitrary enforcement against homeless people. Until Los Angeles amends or replaces LAMC 85.02, individuals and families living in their vehicles could do so anywhere in Los Angeles with little enforcement. The WHNC Homelessness Subcommittee strongly supports the Safe Parking Pilot Program as a method to help curb residential parking and keep our neighborhood safe while not criminalizing homelessness. You can read about the Safe Parking Pilot Program at http://clkrep.lacity.org/onlinedocs/2015/15-1138-15_rpt_CLA_08-26-2016.pdf.